Take a self-catering break this summer to the award-winning 4-star beachfront Old Deanery Holiday Cottages, Killala, Co Mayo. Stylish yet traditional Irish holiday homes with cosy turf fire! The Old Deanery Holiday Cottages are perfectly placed on the shores of Killala Bay; you can enjoy glorious sunrises and magical moons in the wide open Mayo skies. Right beside Killala pier (where fresh fish is available daily straight from the fishermen) and on the edge of Killala town, the cottages are within driving & walking distance of stunning scenery, amazing empty beaches, incredible history and folklore and to top it all off – wonderful welcoming people! The bustling town of Ballina is a short 5-minute drive away. Fully equipped kitchen: washing machine & dryer; iron & ironing board; fridge-freezer; hob, oven & microwave. Cot, high chair & sterilizer can be booked in advance. Holiday homes are heated with a combination of a turf fire and oil fired central heating. 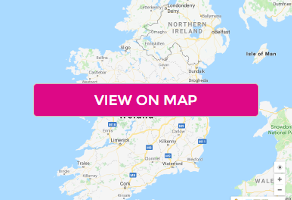 Beautiful golden beaches, boat trips, Horse riding, Fishing, Golfing, Brand-new children’s playground, Cineplex, Swimming pool and Ireland's largest indoor Play Jungle, "Tumble Jungle" to name a few activities. Recently opened and a very welcome addition to Killala’s gastronomic experience, the Arch Restaurant offers inspired Irish/French cuisine created from locally-sourced ingredients. Try the crab and leek tartlet, or mussels in Guinness sauce. There are some other options available nearby and more a short drive away.